The people from Sunshine productions were great. They arrived early, gave us a little extra time before starting. It was a little slow starting since the kids at the party were older and didn't want to participate in the songs, so I asked them to just go right into the games. Once the games started, the kids had a blast!! The staff was great, the kids had plenty of time to play and enjoy all the games, and some of the adults even joined in on the tug of war. Afterwards, they did some face painting and balloon animals. 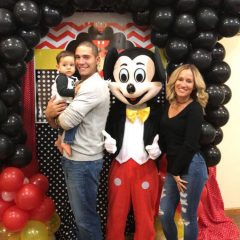 They weren't "professional" balloon animals or paintings, but they were exactly as pictured and it was just an additional thing for the kids. The main portion of entertainment was the games and they really excelled with that. I had several people come up to me and tell me how good the entertainment was after the party. I was very pleased with everything and would hire them again. 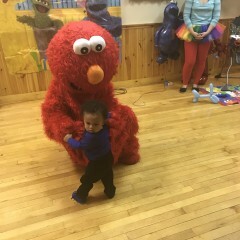 Perfect Elmo for my 2 year old! Pleasant to work with, showed up on time, all around great experience? 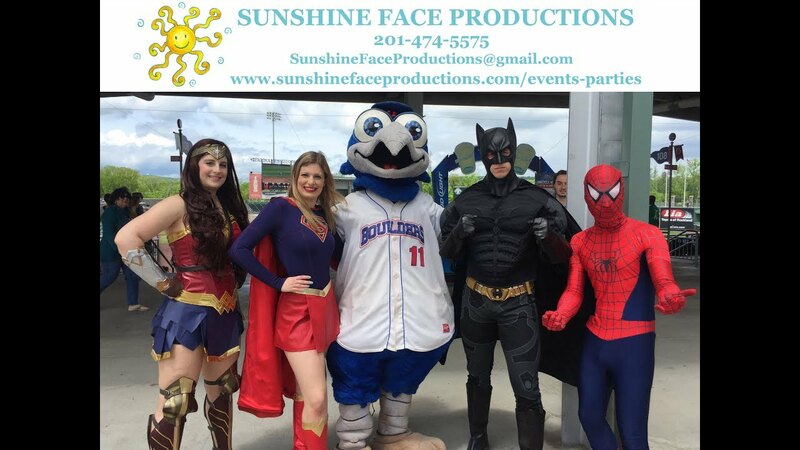 Sunshine Face Production attended the Rockland Boulders Baseball Stadium for Super Hero Day. They brought several characters and exceeded our expectations. Constant interactions with our fans and very easy to work with. Great event and definitely will be booking again in the future! Best day ever! We were so impressed with this company. Kids had a blast. They were entertained from start to finish. Such a great mix of fun: face painting, balloons animals, games , dance party , pictures. Staff was so nice to work with: helpful and professional. Would definitely highly recommend and hope to higher again for next years party! I wanted to enjoy my daughters birthday, so I wanted someone else to basically run the whole thing. 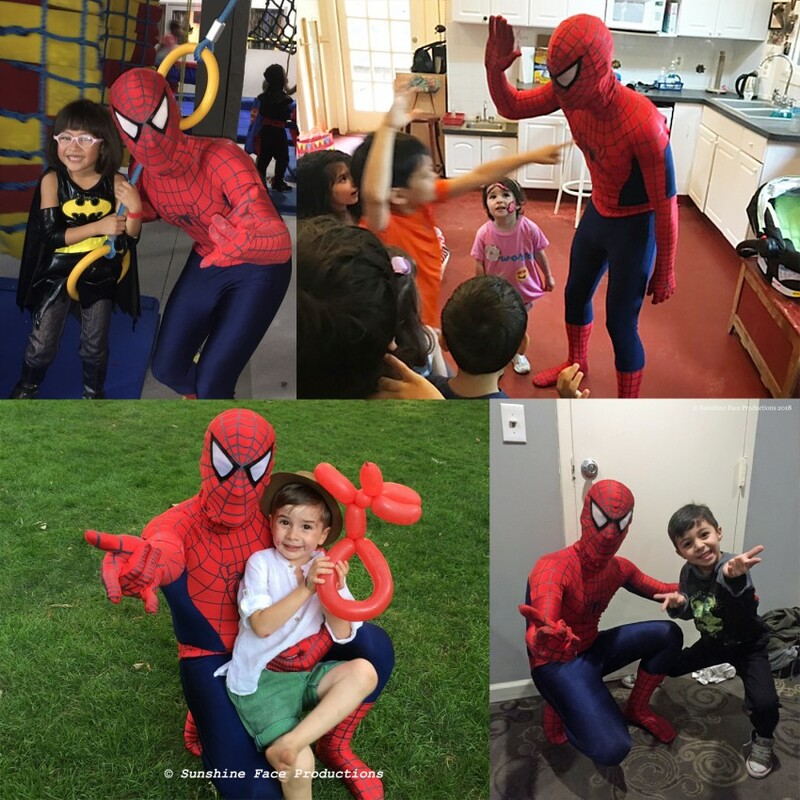 SFP not only entertained every single child (and adult) at the party, but they ran the show! I was able to act like a guest at my daughter’s party! I didn’t miss a minute. I saw every expression (so much joy!) on her face! We hired Elsa, Minnie AND Elmo! And each one was a delight! I highly recommend this group for your party! They played games, read stories, danced and got balloon animals. What more could any child want??!!! It was fabulous! Erik and his assistant were great. Extremely professional, polite and a pleasure to work with. They were there for the kids and did a great job engaging with them. I would definitely use this company again. 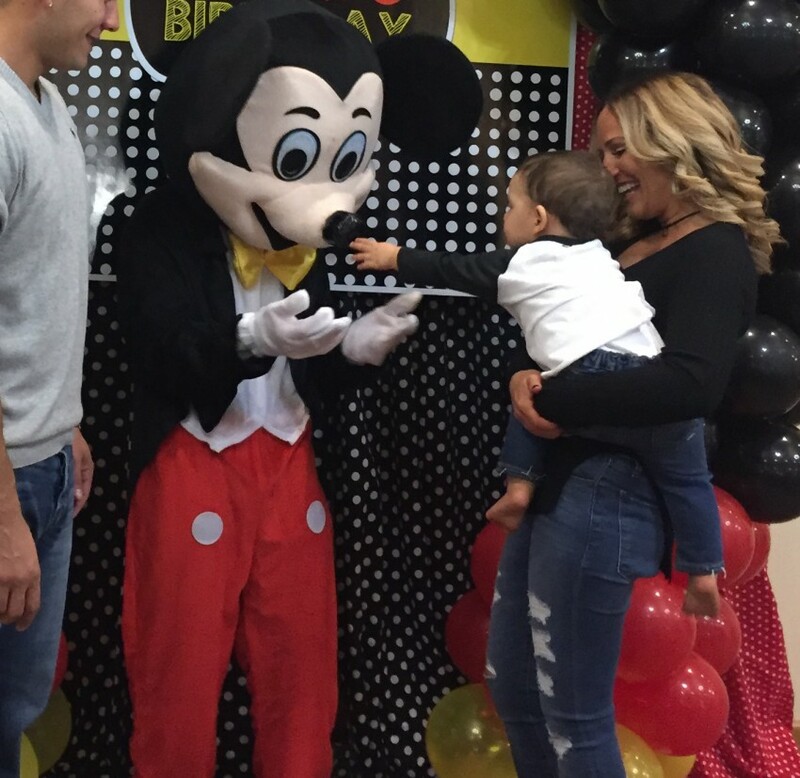 We hired Erik and his assistant for our son's 2nd birthday party. Erik was very responsive to our communications prior to the date of the party. 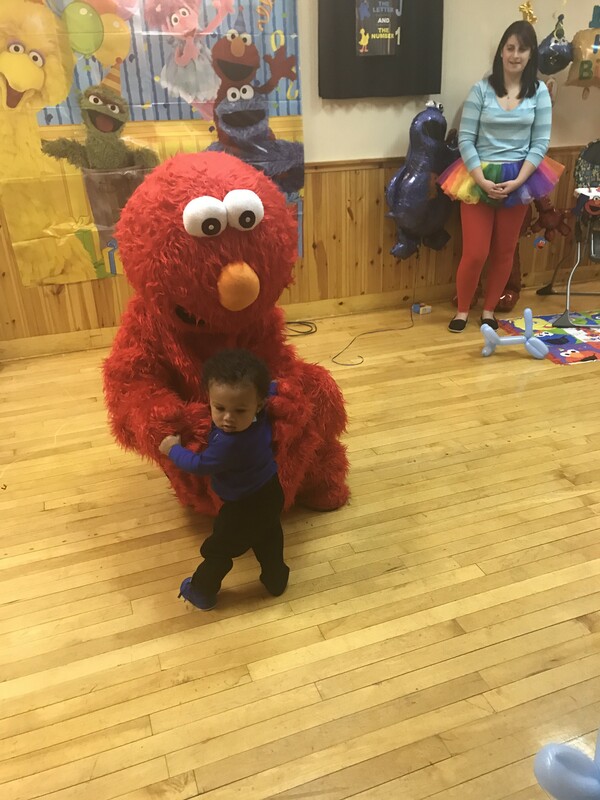 The children loved Elmo. Erik and his team were there early and played all of our son's favorite songs. And the price was great. Thanks Erik! 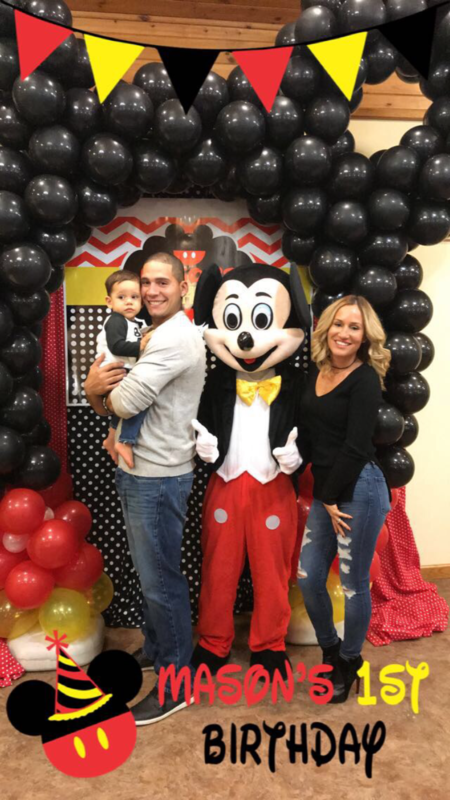 I just want to say that this company went above and beyond for my daughter's 1st birthday party. It was very hard to find a ballerina bear character but these employees put together the cutest character for her, as promised - a white bear with a pink tutu and pink bow that matched my daughter's tutu dress, in fact. All of the children and the adults were so entertained by the bear and the support staff, and my daughter absolutely loved the bear. There was so much laughter and smiles as the ballerina bear danced to the music. I could not have asked for a better character or costume and I would definitely recommend Sunshine Face Productions again. Also, I dealt with Erik who was extremely professional. Call them up for your next party - I guarantee you will not be disappointed. I'm definitely going to refer them. Thanks so much! They were great and very professional. All the kids and the adults had a great time! My sister Angela and everyone at the party said that you were FANTASTIC, that you were super clean and sounded just like Elmo. I can't thank you enough for making their day even more special.